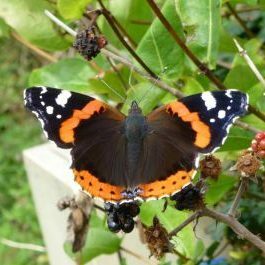 Just what has been happening in the world of phenology………………. could nature be stirring already? Again, this time around, these sightings will closely correlate to the local weather conditions. One being, a general lack of Air Frosts over recent days and perhaps, the incessant rainfall, as shown below. Intriguingly, looking at their expected emergence dates, both events have now moved forward to the 11th January consequently. 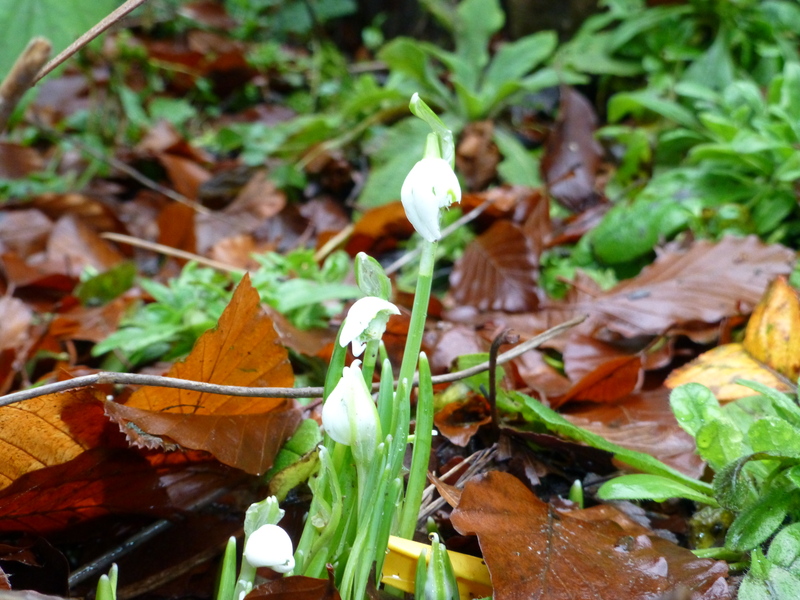 Woodland Snowdrop captured below, emerged on the 28th December. 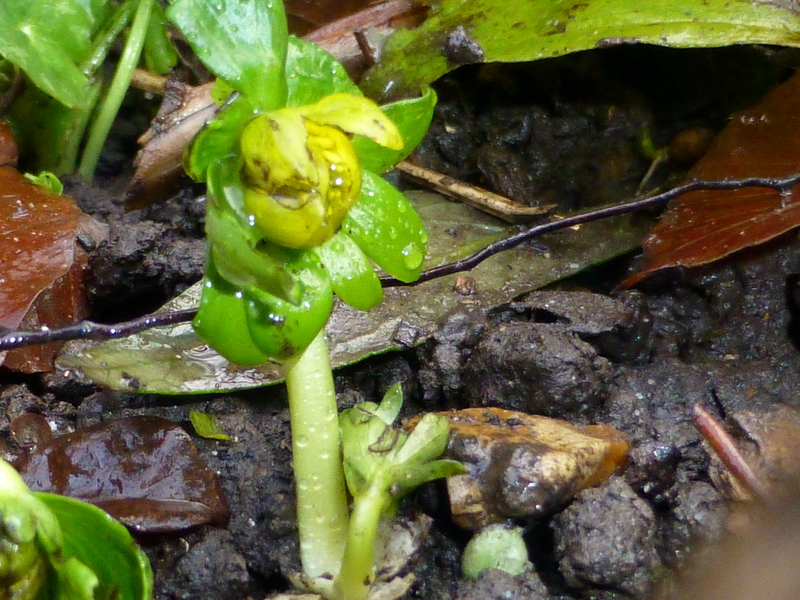 With Winter Aconite emerging on the 30th December 2012. As we head into 2013, I wonder what delights the year will hold. 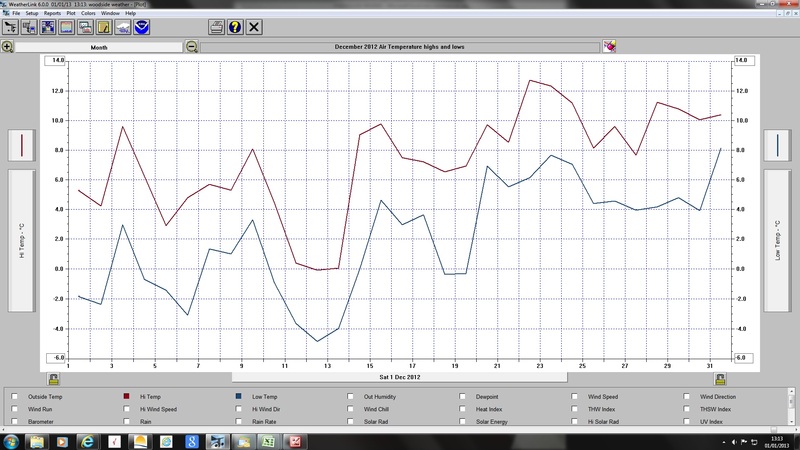 This is a great project and interesting weather output too. Thanks. Many Thanks. I also notice that your blog also helps to get the next generation involved. Citizen Science is invaluable nowadays and I hope both of us continue blogging about it for many years to come. We were busy in our garden here in Shropshire yesterday and our aconites are just emerging as are crocus but no sin of snowdrop. At last, some folk can actually get out in their gardens should they be that way inclined? I find it truly amazing, once the Winter Equinox has passed us by, it is as if there has been a trigger in the natural world. 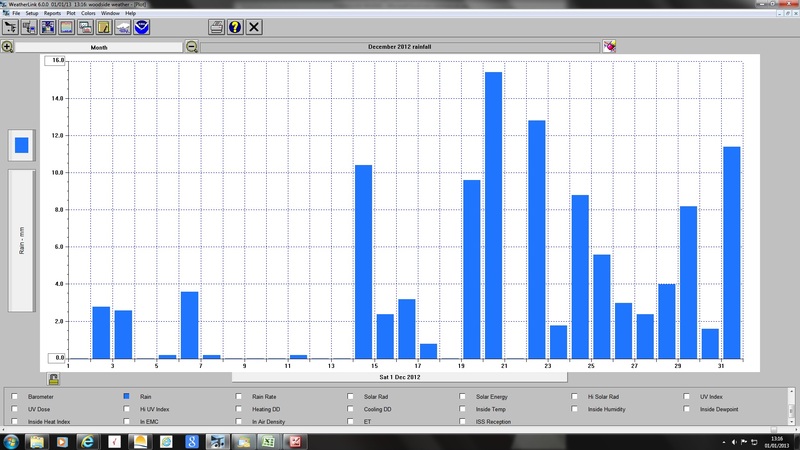 Since the 22nd December, as shown above, every day has seemingly seen non-stop rain. Couple this with a distinct lack of sunshine; it has been awful, aside from today. Bring on more of that lovely sunshine. I hope the events that unfold in 2013 are indeed ‘delights’! BTW I’m intrigued by your FB page – I’ve toyed with the idea of one for The Naturephile too, but I haven’t got round to it yet. How’s it going with that? I have only just set it up but so far, I have had six likes and hope to get a few more. I feel this year needs to be the year to put nature firmly in people’s minds. As an example, climate change was strongly featured on the BBC news coverage today and so too, was the potential crisis facing Farming in 2013. Both topics being close to my heart, as time moves on. Good to speak to you again and do keep us informed.